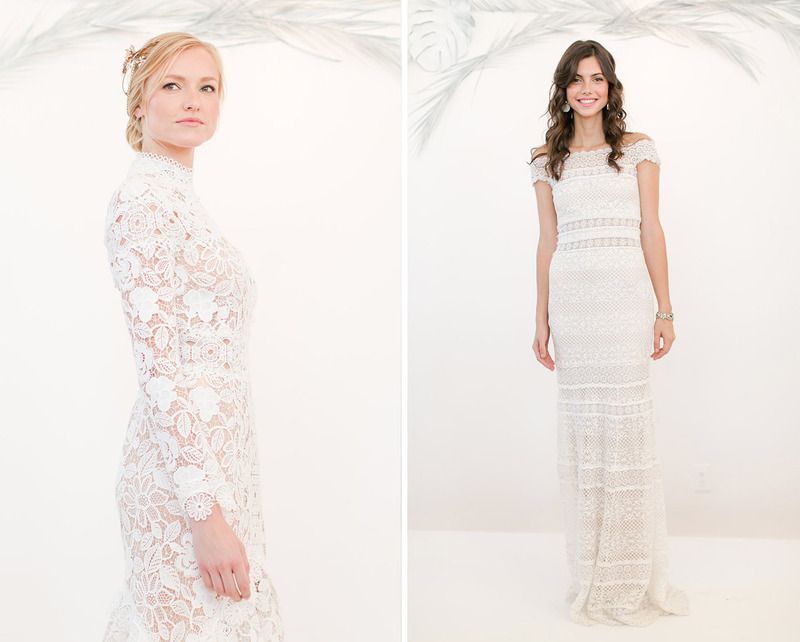 Let’s take a minute and talk about those gorge dresses above!? 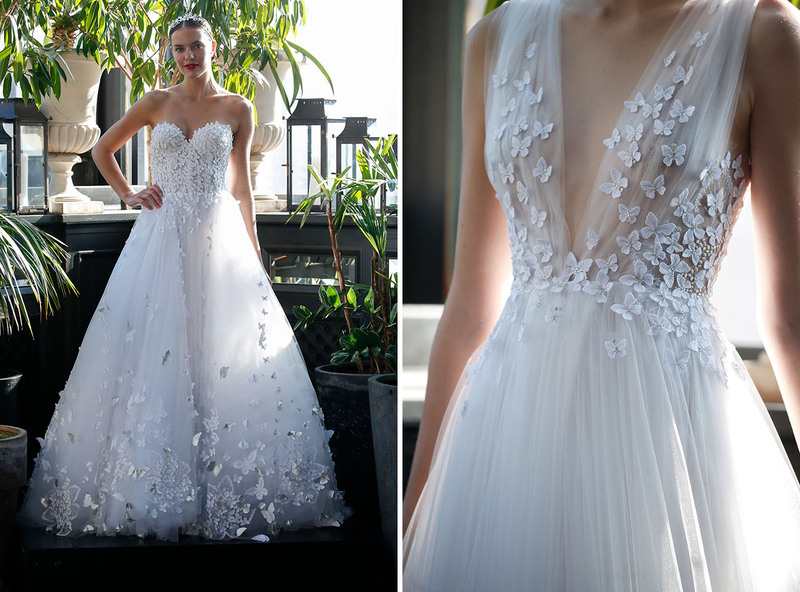 They are from the latest BERTA bridal collection – so much pretty from that show!! The first show we checked out was the Marchesa show where we fell in love with these two gowns – the floral appliqués are so GORGE! Another favorite show (and new designer to us), was the Odylyne the Ceremony show. 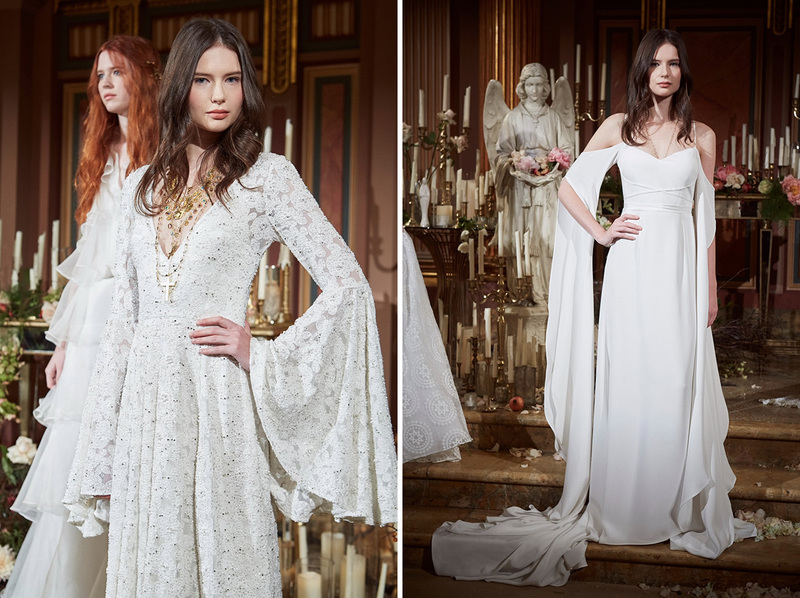 Their star crossed lovers collection had lots of lace, bell sleeves, ruffles and capes. We loved it all!! The back on that Wtoo dress!! And of course Monique Lhuillier stunned with this pretty gown above. 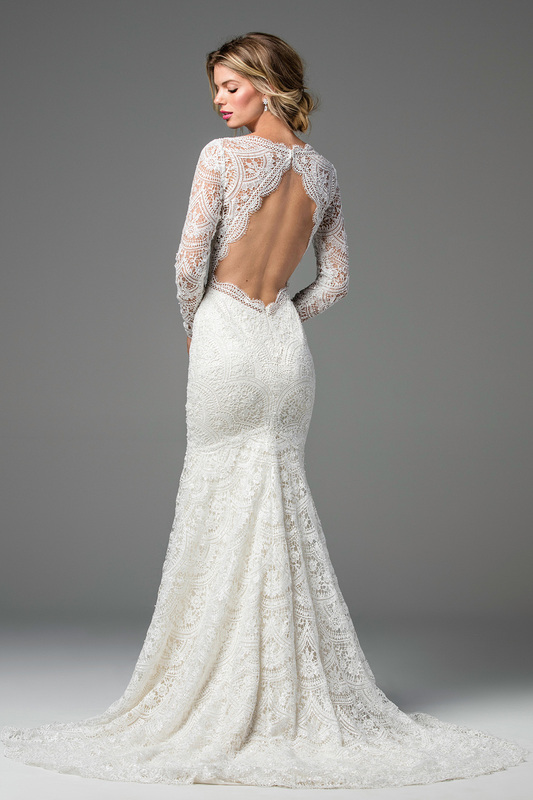 LOVE all the lace details – esp on the back from the Rembo Styling 2017 Bohemian Bridal Collection. Reem Acra was another fave show and this off the shoulder gown!! Persy showed us a new take on ruffles and we are big fans. Hayley Paige had lots of gorgeous colors in her gowns – this one would be so super dreamy for a winter wedding, right?! Francesca Miranda‘s collection was inspired by a fairytale. 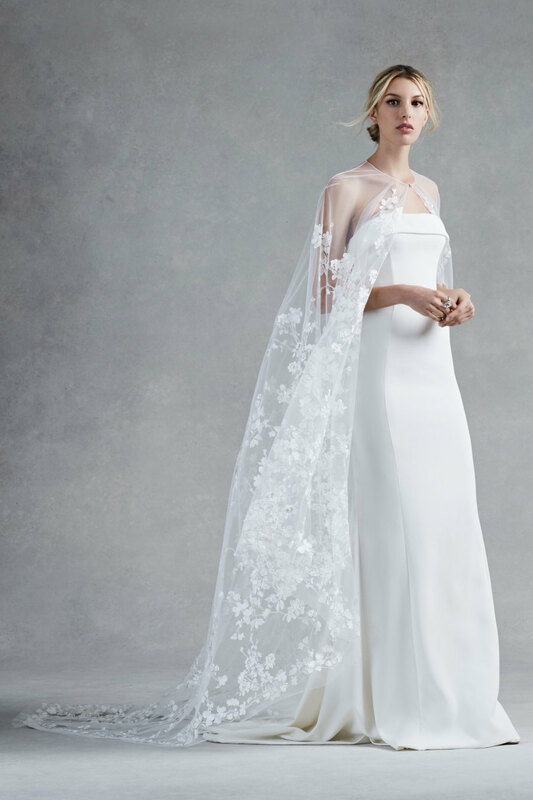 Each gown alludes a deep sense of romance with hints of whimsy in every detail – including hand embroidered butterflies, meticulously placed pearl accents, and French lace appliqués. 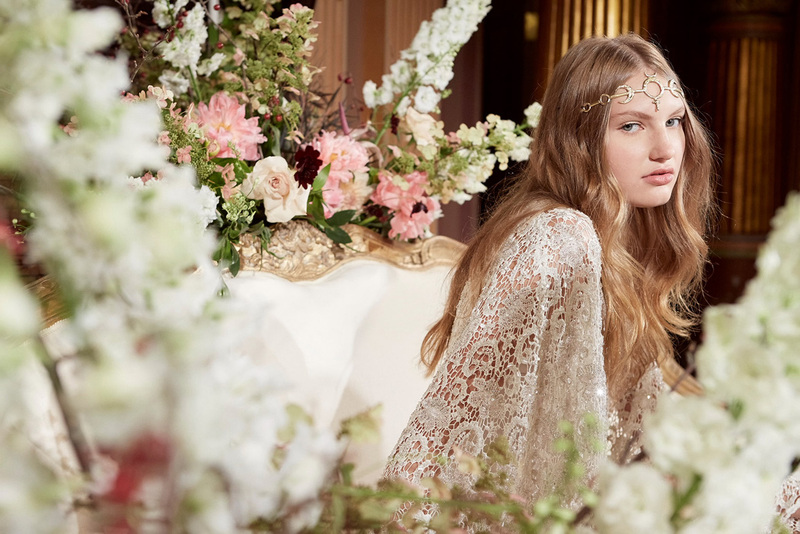 The backs of Claire Pettibone’s gowns are truly works of art…see more from her latest collection here. We ended our week with the BHLDN preview! These gowns below will all be available in January 2017! 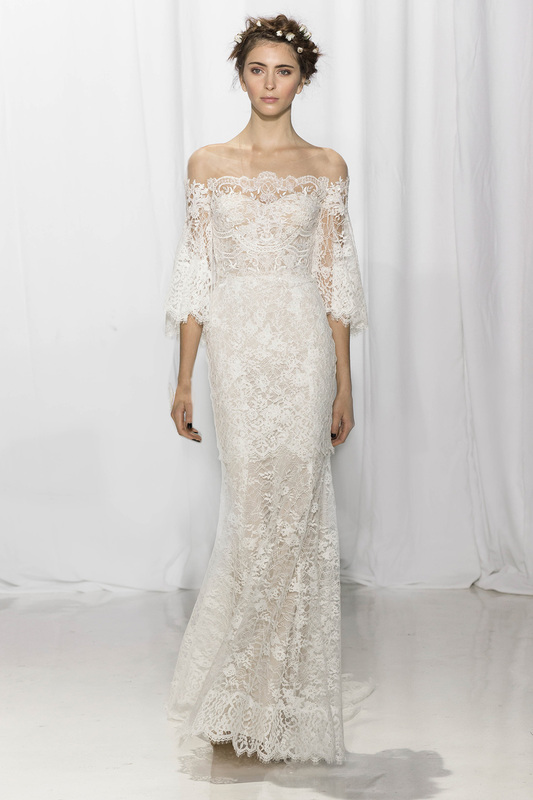 So, we’d love to hear – which gowns are you loving?! Please share in the comments.